Tees Valley Mayor Ben Houchen has met with Transport for the North’s (TfN) Northern Powerhouse Rail Director, Tim Wood, this week to discuss emerging plans for the major transport rail programme and how it will link with local rail ambitions for the Tees Valley and the wider region. 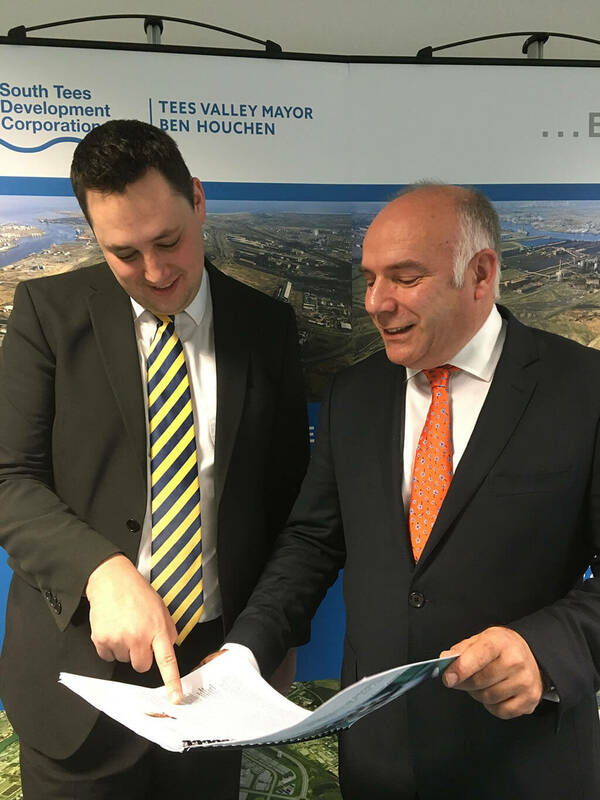 The Metro Mayor met with Mr Wood in Teesside on Wednesday morning prior to the launch of Transport for the North’s Draft Strategic Transport Plan for the North of England which is due to be launched early in the New Year. While the Mayor, who is a Partnership Board member of Transport for the North, has already given his backing to the Plan, along with 29 other Partnership Board Members, the pre-Christmas discussions looked at Teesside’s ambitious plans for its own development and how these fit with the wider plans to boost the North’s economy. Transport for the North has already identified the prime capabilities for the North which will be a catalyst for growth – a number of which, including advanced manufacturing, are heavily present on Teesside. Ben Houchen, Tees Valley Mayor said: “I am really behind the overall objective of Transport for the North, Northern Powerhouse Rail, and the Trans-Pennine Route Upgrade which is to have increased connectivity across the North of England getting more people to more areas more effectively than we have done before.